Thousands of women juggle families and full-time jobs every year, and now I’m one of them! Earlier this year, my husband and I welcomed a healthy baby girl into our family. I immersed myself in her care until it was time to put on my professional attire, board the commuter train and get back to the job I love. Start Slow – Create a transition plan with your employer. I asked to be integrated into daily communications before my return, and then worked part time from home for the last two weeks of my leave. I also visited the office with the baby before I returned to work – allowing me to catch up with co-workers and show off my little girl before I had a to-do list to juggle. The result? I was “in the know” again and ready to go on my first day back. Rehearse – The logistics of getting to work when you have a baby can be tough, with earlier mornings, less sleep and a limited wardrobe. I made it easier by “rehearsing” a couple of times before work resumed. I practiced everything: getting up, getting showered and dressed, driving to daycare and taking the train to the office. I found a few flaws in my plan and fixed them before my first day back in the office. Stay Connected – Being the expert on my baby’s care was one role I was not willing to give up when I returned to work. I had lunchtime conference calls with daycare during my first week back to discuss my baby's progress, and I have my daycare provide notes on the baby’s day so I can review everything she did. Embrace Support – Have a coworker who always wants a good baby story, or asks for a recent photo? Embrace the support and take five minutes to relate. Integrating your new role as a mom into your work life will make the transition easier and keep you smiling. Lots of factors contribute to a smooth transition back to work: liking your job, getting much-needed sleep, knowing your baby is happy and finding that all important work/life balance are just a few. But there are many of us who have found success being happy, wonderful moms and successful professionals, too. Best of luck! 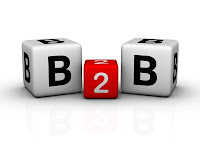 LCWA’s B2B clients are active in the social media arena, and for good reason. B2B marketers know that social media offers another way to engage with target audiences. In fact, a survey by the Association of National Advertisers and BtoB Magazine showed significant growth in the use of social marketing among B2B marketers, with 57% now using social media channels, up from just 15% in 2007. The most popular social media platforms used are LinkedIn (81%), Twitter (70%), Facebook (60%) and YouTube (49%). 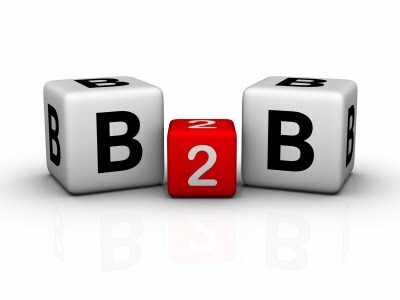 Forrester Research predicts that B2B firms will spend $4.8 billion on interactive marketing in 2014, more than double the $2.3 billion estimated for 2009. Bottom line: social media is important and here to stay, and if you aren’t engaged your company risks falling behind. Despite this surge, experts note that more established online resources – search engines, online catalogs and websites – are still the key venues industrial audiences tap to seek suppliers, products and other work-related information. Continue to invest in these online resources while you begin to develop your B2B social media strategy. Ready to get started in the social media realm and wondering where to begin? The following are some tips to help any B2B company, regardless of industry, adopt a social media strategy. Define your vision and establish objectives. Do you want to seek customer feedback, promote brand awareness, improve the company image, connect with a new target audience or another goal? Choose a strategy that complements your existing marketing and online efforts. Your social media goals should support your overall marketing goals. Explore the various social media tools to gain an understanding of how they work, and choose venues based on the time and resources available to you. Forrester spells out these steps well in its POST (people, objectives, strategy, technology) social media methodology outlined here. If you’re a B2B marketer, now may be just the right time to get started in the social media arena!